#Maritime - ‘Safe and sustainable’ marine transport and ‘delivery of emergency management services’ have been made a high level goal in the Department of Transport, Tourism and Sport’s Statement of Strategy 2016-2019, published this week. Reduced ship emissions and safety at sea are also priorities within the Maritime Safety Strategy, which “includes a range of actions to be implemented or begun by 2019” such as flag state and port state regimes, and the IMO’s Convention on Standards of Training, Certification and Watchkeeping for Seafarers. Key services in this strategy include the delivery of a 24/7 marine emergency response and management service by co-ordinating the response to SAR incidents and pollution threats at sea. Progress on these goals will be monitored by various indicators, such as the transfer of regional ports to local authority control by the end of 2018, the imposition of a new ‘ports performance’ measurement system by the end of 2017, the development of a web portal for SeaSafe Ireland by the middle of next year, as well as a minimum 90% availability of Irish Coast Guard units ahead of “full interoperability” of marine rescue co-ordination by next winter. The full Statement of Strategy 2016-2019 can be downloaded HERE. A new Tohatsu outboard engine (2.5HP 4-stroke Short Shaft (15") at €726, Mirror dinghy spars for a fiver, a maritime painting of the ARC fleet at €200 by artist Pete Hogan are just a few of the offers currently on Afloat's Marine market. 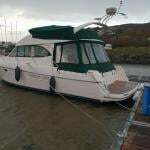 You can also find a range of charts and cruising guides from Todd Navigation in Belfast, bilge pumps and anchors from O'Sullivan's Marine in County Kerry plus Rick Tomlinson's sailing calendars and a lot more besides. Seller Gary Elisson wants a project boat to do up as a live aboard. 'It must be cheap', he says. Waterford seller Niall Power has a carbon fibre spinnaker pole (3.5 Mtr long) for sale at €700. Recent section updates now include space for boatyard services such as engine repairs, marina berths, boat hire, sailing school courses, crew and much more. Check out the latest items here and list your own items, services and events in Ireland's dedicated maritime marketplace. The idea behind the platform is to give focus to the Irish marine market through a definitive portal. Some of the latest items on Ireland's marine marketplace. Click for more. #oceanwealth – Addressing the second 'Harnessing Our Ocean Wealth' Conference today, in Ringaskiddy, Co. Cork, Simon Coveney TD, Minister for Agriculture, Food and the Marine outlined new economic research that indicates the Government's blueprint for the marine which could deliver more than 29,000 additional jobs and an additional €2.7bn in economic growth by 2020. Downloasd speech below. Minister Coveney said that "Ireland is now firmly on what I believe is an unstoppable journey of marine expansion. We are experiencing a significant period of 'blue growth' with a 9% increase in growth in Ireland's marine sector over the last five years and the ocean economy now valued at 1.3% of GDP. Today we are building on this progress with the publication of a development framework for the marine sector, coupled with the clear commitment from Government to introduce a marine spatial planning process for the country, which will underpin the achievement of these economic targets as the Harnessing Our Ocean Wealth strategy is implemented." Ireland's Ocean Economy report and associated research on the downstream impacts of the marine, produced by the Socio Economic Marine Research Unit at the National University of Ireland states that if HOOW targets are met, 29,300 new jobs could be created by 2020, with 16,100 projected to come directly from the marine sector. An additional growth of €2.7bn in the wider economy is also expected. The report also confirms the current value of the blue economy. In addition to the 18,400 individuals currently directly employed in our marine industries, a further 13,000 are employed indirectly across the wider economy, creating an additional €3.3bn in turnover. For every €100 turnover created from our ocean economy, a further €78 is created indirectly in other sectors. The Minister encouraged members of the public to attend the Seafest 2015 open day on Saturday in Ringaskiddy "Members of the public will be able to access a state of the art stimulator that is used to train ships' captains and visit seafood cookery demonstrations. They will also be able to experience what it's like to be exposed to hurricane force winds through the BIM Beaufort Scale Hurricane Experience. There will be an extensive seafood fair and cookery demonstrations and multiple other activities on and off the water. This event is free of charge for every age group with lots of family activities planned." The Conference included contributions from Minister Coveney, Alex White, T.D., Minister for Communications, Energy and Natural Resources; Sean Sherlock, T.D., Minister for Research & Innovation; and Mr Paudie Coffey T.D., Minister of State at the Department of the Environment. Commissioner Karmenu Vella, Environment, Maritime Affairs and Fisheries European Commission and Rt. Hon. Darin King, Minister of Business, Tourism, Culture in the provincial government of Newfoundland and Labrador also spoke at the Conference. This second annual Conference which reviewed ongoing progress on implementation of the Government's Integrated Marine Plan (published in 2012) was attended by over 500 delegates from the public and private sector with an involvement in the marine sector. In concluding his address, Minister Coveney said "I believe that the outlook for the sector is really exciting and the possibilities are endless. The challenge now is to make the marine sector a leading contributor to the Irish economy and to recognise the potential we have as an island nation to be a major player in the sector internationally." #powerfromthesea – Minister for Communications, Energy & Natural Resources Alex White T.D. welcomed the announcement that the SFI Centre for Marine Renewable Energy Ireland (MaREI) had successfully raised an additional €4.2 million in funding from EU research funds for marine energy activities. The announcement of the substantial EU funding was made to an audience of more than 130 industry and university representatives involved in a variety of marine energy research projects, attending the MaREI Industry Open Day at the National Maritime College of Ireland in Cork. "I want to commend MaREI on their success in securing substantial EU support to fund their very important research and development work. It is truly laying the foundations for both the energy system and economic opportunity of the future." Speaking at the MaREI Industry Open Day, Prof. Mark Ferguson, Director General Science Foundation Ireland (SFI) and Chief Scientific Adviser to the Government of Ireland added, "MaREI is one of twelve SFI Research Centres of excellence and impact in Ireland. Research undertaken at MaREI is positioning Ireland to play a leading role in marine renewable energy research which is an area of significant national strategic importance. In its first year MaREI has delivered on the targets which we have set. I look forward to a successful year ahead for MaREI, in terms of new industry partnerships, leveraging funding and new discoveries that will deliver solutions that can benefit both Irish society and the economy." Prof. Conchúr Ó Brádaigh, Director of the MaREI Centre said that "Large and small companies alike are engaging with MaREI across a huge variety of business opportunities from marine robotics and new materials to endure ocean conditions, to offshore wind, wave and marine energy and mooring devices as well as aquaculture and grid technology solutions. The additional funding from the EU will serve to further position MaREI at the forefront of marine renewable research and commercialisation of this research globally." The industry-academia MaREI Centre comprises over 45 industry partners, including global market leaders in energy, marine technology, software and hardware providers. Academic partners include lead partner University College Cork along with Cork Institute of Technology, University of Limerick, NUI Galway, NUI Maynooth, University College Dublin and the Marine Institute. "MaREI will directly create companies and jobs and serve as a catalyst for Ireland to establish a safe, sustainable and profitable energy supply for domestic use and for export," said Professor Anita Maguire, Vice-President for Research and Innovation at University College Cork. Minister Alex White also toured the €15 million UCC Beaufort building, performing the customary "topping out" ceremony, which marks the final phase of building works. Beaufort will house the MaREI centre on its completion in July 2015. The MaREI Centre initially received government support of €19 million through Science Foundation Ireland (SFI) and a further €10.5 million investment from industry partners. The Centre supports job creation in the in marine renewables sector, while also making Ireland an international focus for the marine energy industry. Almost 90 jobs in the field of marine energy and maritime projects were recently announced by Minister for Agriculture, Food, Marine and Defence Simon Coveney, T.D. for the Cork Harbour region, and MaREI is heavily involved in supporting these companies and the related jobs. #budget2014 – The Minister for Agriculture, Food and the Marine Simon Coveney TD today announced details of his Department's 2015 budget. Emphasising that despite the fragile recovery in the economy, he had secured an increase in funding for the first time since 2009. Included in the funding of the Marine sector is the sum of €11.5 million devoted to the new seafood development programme 2015, while a further €11.5 million of capital funding will be invested in fishery harbour capital works, which not only adds value and improvement to these harbours but also contributes heavily to the local economies of the areas concerned. Some €6.3 million is allocated to investments in aquaculture and fish processing projects, while close to €47million is allocated to fund the marketing and development functions of BIM, the research role of the Marine Institute and the regulatory and control functions of the Seafood Protection Authority. 'In the Wealth of the Sea Lies Our Hope' So Where is Ireland's Department of The Marine? #marine – The Irish Maritime Administration (IMA) was established in 2013 to integrate the planning and delivery of all the maritime services of the Department of Transport, Tourism and Sport under a single national office. The Department's website describes this as "central" to its "drive for more efficient and effective delivery of maritime services." It is comprised of the Maritime Safety Policy Division, the Marine Survey Office, the Irish Coast Guard, the Maritime Transport Division and the Maritime Services Division. The IMA, declares the Departmental website, "is developing the maritime transport sector, by facilitating the achievement of international safety levels and by enhancing infrastructure needed to secure employment in the shipping, fishing and leisure sectors." This weekend The Irish Times reported, in the context of political appointments to State bodies, that the former Minister for Transport, Leo Varadkar, appointed three people without any sea-going experience to the Marine Casualty Investigation Board. This story has not been denied. The appointments have been defended with the explanation that they were "ensuring that there could be no conflict of interest," according to a Department spokesman. The Irish Times claimed that there was only one member of the Board who had direct marine expertise for the past year. "No conflict of interest," what exactly does that mean in the context of investigations into marine accidents? The importance of seafaring skills or maritime experience was not highlighted in the quoted explanation from the Department. The MCI, it seems, uses contracted experts into marine casualties whose reports are submitted to the Board. The integrity of the individuals concerned is not at issue but it is relevant to ask why this board has had only one member with direct marine expertise. Is the Department of Transport the correct place for maritime matters? Moving them into that Department facilitated Government policy which is against the existence of a dedicated Department of the Marine and keeps maritime affairs at a low level in State administration. Prior to the last General Election both Coalition parties, Fine Gael and Labour, promised a single department to deal with maritime affairs. There was hope for a Department of the Marine again being created. Unsurprisingly, once they got into Government that did not happen. Marine was lumped in with Agriculture, Food and now Defence and aspects such as maritime safety and the ports went to the Department of Transport. Other parts of the maritime brief were put into other Departments, such as Communications and Energy and some seemed to have been lost altogether! The Government, politicians and officials under the leadership of Taoiseach Enda Kenny, who has several times highlighted his maritime heritage in public, did not see maritime affairs as important enough to merit a full department in an island nation, a country where 95 per cent of exports and imports depend upon the sea. When he was appointed Minister for Agriculture, Food and the Marine, Simon Coveney, who does have a commitment to maritime affairs, declared that he wanted the maritime aspect of his brief and his title as Minister for the Marine to be publicly recognised. He also indicated his desire to have all maritime matters brought under his department. That did not happen. The Department of Transport strengthened its grasp on aspects of maritime affairs. The establishment of the Irish Maritime Administration within the Department of Transport last year was a further attempt, in my view, to frustrate any possibility of the building up of a strong Department of the Marine. Several years ago, when Marine Correspondent with RTE, I noted the strong representations a number of ports and exporters to be have them moved out of the then Department of the Marine and into Transport. There was public and private lobbying through the Ports Association and other bodies. It was maintained that Transport would give the ports and all involved with them a stronger position nationally. It seemed that the marine department was regarded as too lowly within governmental structure. I once sat in the office of a senior politician in Dublin who, under a previous Government administration, had been appointed Minister for the Marine at a time when Ireland had such a dedicated Department. He had waxed lyrical about his family's political tradition and then told me that he was stuck with being the 'minister for fish and ships' but he would have to 'suffer for a while' with that indignity until he could get a more senior post. The man filled me with disgust, but his attitude was indicative of many Irish politicians who have shown little respect for the marine sphere of a nation which has produced mariners of international renown. The marine sector is so diffused now that it does not have the power or political clout which it merits. That the government has advanced plans such as Ocean Wealth as a means of driving maritime development, does not counteract the lack of a single maritime department. This is not good for maritime affairs in an island nation where they should be a priority. I have been considering all of these points and others following the inaugural Irish Maritime Forum held at Cork City Hall. It was well-organised by Cork Port, with sponsorship from Liebherr, the German crane manufacturer based in Killarney. There was a big attendance. The presentations were accompanied by the usual audio-visual displays, all aimed "at organisations and professionals within the maritime industry in Ireland" The promotional brochure said: "This forum will look at 'Developing the dynamic future of Ireland's Maritime Sector' by exploring the ocean of opportunities that exist within the sector and concentrating on the key drivers that are set to change the sector in the future. Breakout sessions will explore further the drivers of change within the transport sector and the opportunities and challenges that exist. The forum will provide a unique platform of national and international speakers each bringing their own expert knowledge and experience to the forum." "Key drivers of change... dynamic future... breakout sessions...." nicely-put management and marketing 'speak' ... There were good presentations, ideas suggested and, it was interesting to hear from international speakers of practices and developments, based on their experience. There is not a shortage of maritime-themed conferences. What do they practically achieve? Ireland's major ports compete with each other, which suits the Government that seeks to avoid financial responsibility for them. So you have situations such as where Cork Port wants to build a container port in the lower harbour at Ringaskiddy, which Waterford Port, having developed its own container port at Belview outside the city, opposes at a planning hearing. Galway wants to develop a major port facility, claiming the Western coastline should have modern port facilities and attract more cruise ships. Other major ports are lobbying against this and being both critical and dismissive. Dun Laoghaire also wants a future in cruise liner visits. Dublin Port is less than happy with this. Cork claims to have the only dedicated cruise line terminal in the country, but as was stated at the Cork maritime conference, cruise shipping operators have no loyalty to any port and will go only where the best deals are offered to them, to cut their costs as much as possible. While Dun Laoghaire is a major leisure marine centre, its Harbour comes in for strong criticism in the survey of the Irish Cruiser Racing Association into this year's national championships held there. The criticism focusses on what the ICRA report describes as the insistence on charging marina fees to visiting boats, something never done at other championship events around Ireland to participating boats, an attitude which visitors found unhelpful and discouraging. If all maritime affairs were concentrated in one Department it would make them a priority in this island nation. They include and range across all aspects of the nation's life, from the sea around us, to the inland waterways, the ports, energy creation from marine sources, the fishing industry, angling, marine tourism, history, culture, all are part of a nation where people first came to the coastal areas some 9,000 years ago. A Department of the Marine should be a leading, top-level Department of Government in this island nation. It would be economically important, could create employment, could drive development across a wide range of activities with benefit to the nation. Instead, narrow-minded, self-centred thinking and lack of foresight continues to restrict the progress of maritime affairs, causes duplication of effort and keeps marine affairs at a low national level. I like the motto of Arklow, that County Wicklow coastal town with a great maritime tradition. As Gaeilge it reads: "Maoin na Mara are Muighin," which translates to: "In the wealth of the sea lies our hope." That motto came to my mind at Cork City Hall, as I listened to the speeches and questions at the Irish Maritime Forum, but even that title raised the issue of duplication. It was chosen, as far as I remember, as the title for an organisation established a few years ago, by a group of mariners who formed - The Irish Maritime Forum. marineatlas – #Scientists from the Geological Survey of Ireland and UCD have contributed to a new Geological Atlas of the offshore geology of north-west of Europe, which will be launched today at the Geological Survey of Denmark, Copenhagen. The Atlas and associated database was jointly developed by 8 geological surveys and sponsored by more than a dozen exploration companies at a cost of €4 million, and is expected to result in increased exploration activity and research. The full name of the Atlas project is the Northeast Atlantic Geoscience Tectonostratigraphic Atlas (NAGTEC) and GSI's involvement grew in partnership the NAG consortium, which is a cooperative framework agreement between the Geological Surveys of Ireland, Northern Ireland, Great Britain, The Netherlands, Germany, Norway, Iceland and Denmark (including Greenland and the Faroe Islands). This hugely ambitious project began in June 2011, and in its 3 year lifespan has successfully correlated all released offshore data for the entire north-east Atlantic, for the very first time. Using this resource, skilled experts based at the various NAG surveys developed data products, primarily geological maps that detail the development of the North East Atlantic. These maps are now available for scrutiny amongst the NAGTEC Atlas pages, whilst the offshore data is housed in a structured database. It is worth noting that the project, undertaken by the multiple government agencies, was completed on time and on budget and met all targets. · Datasets can be used by exploration companies to aid exploration. · The majority of sponsoring companies are not active in Ireland but will now be more aware of Irish opportunities. · The data will continue to stimulate research on offshore Ireland. · This project will also highlight data and knowledge gaps for further exploration and research. · New international research links have been forged between the surveys, which will result in more projects. The Minster added that " this new data is also very timely in the context of the Atlantic exploration licensing round which was opened this summer and concludes in September 2015." The Irish contribution to the NAGTEC project was co-ordinated by Maria Judge, INFOMAR Geologist at the Geological Survey of Ireland, and employed technical support from a post-doctoral researcher, Dr Kenneth McDermott, who was based at the School of Geological Sciences, UCD under the supervision of Prof. Pat Shannon. The project was also supported by the Department of Communications, Energy and Natural Resources' Petroleum Affairs Division of Ireland, who permitted access to the released offshore petroleum exploration data, from which much of the data products were generated. The release of the atlas, to sponsoring companies initially, is timely for Ireland, as it comes after new licensing terms have been recently proposed and a new seismic data gathering exercise is underway, while another offshore licensing round will take place in 2015. Boating has always been a part of the business for Yachtsman Euromarine, says managing director Matthew McGrory, going back to when the company began as MJ O'Neill Insurances Limited in 1974. Started by his grandfather Matthew James O'Neill and father William McGrory, the then Clondalkin-based brokerage at first dealt with insurance across the board, marine coverage being just one facet of a portfolio that also included cars, homes and businesses. But from this foundation, Yachtsman has grown over the decades into Ireland's leading boat insurance specialist, protecting boaters' lifestyles while sharing their passion for all things marine. Of course, the broker's expertise in the marine business is bolstered by its consummate experience in the general insurance market. William McGrory took the helm after his father-in-law's death in 1976, and with his son Matthew coming on board, the business was steered towards a huge leap forward in 1984. This was thanks to a partnership with various syndicates at Lloyd's of London, which saw the company appointed as Lloyd's coverholder for the British insurance giant to underwrite household insurance in Ireland. In the years that followed, Matthew's passion for boating saw the already established marine side of the business grow to such an extent that, by 1995, it was decided that developing a specialist market for marine insurance was the way forward. Thus the Yachtsman brand was born in May 1997. "We obtained a second underwriting agency from Lloyd's for pleasure craft insurance," says Matthew, "and we haven't looked back since." Launching with a staff of just three, the Yachtsman brand brought to the Irish market a brand new product offering wider marine cover with a competitive edge to premiums. But more than that, there was the firm’s small but dedicated staff - who were themselves involved in boating as a pastime, and as such had a complete understanding of clients’ requirements - which soon became recognised as a key benefit of signing up for a policy with Yachtsman. The next five years was a period of significant growth for the Yachtsman brand that saw the business move from its office in Clondalkin to new, larger premises in Clane, Co Kildare. It was also in this period that the McGrorys focused their efforts on the developing maritime brokerage and sold off the general insurance business to specialise fully in pleasure craft. 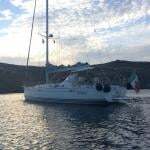 The market was expanding fast as the economy boomed, and Yachtsman was there from the very beginning to offer value-for-money policies backed up with priceless first-hand experience. The Clondalkin, County Dublin premises of founders, MJ O’Neill Insurances Limited in 1974. The next big step for the company came in February 2005, when MJ O’Neill Insurances Limited - now trading solely as Yachtsman - bought out competitor Euromarine, growing its staff to seven and re–launching the following month as the combined brand Yachtsman Euromarine at that year’s Dublin Boat Show in the RDS. Another invaluable asset was Bill Cullen, who oversaw Yachtsman Euromarine's continued growth throughout the ‘Celtic Tiger’ years and even now, after retiring in 2010, still keeps a keen eye on progress. A successful business must keep evolving and developing its skills to stay ahead, and the next stage for Yachtsman Euromarine would test this to the limit. In 2010, the brokerage was appointed by the Lloyd’s syndicates to handle their marine claims in Ireland. As a new venture for the business, this shift into trades and repairs was not without its teething problems - no doubt exacerbated by the contraction of the boating market as the credit crunch persisted in putting the squeeze on wallets. But the benefits would come with time, and Matthew is particularly proud that Yachtsman has the support of “a very comprehensive panel of repairers that can produce a quality repair and get the client back on the water quickly. At the end of the day, that's what's important." The same time period would also see Yachtsman Euromarine become the title sponsor of the ISA RIB Challenge, promoting safe boating to younger budding sailors throughout the country. But there’s only so far a business can grow in its home market, and Yachtsman would look abroad for its next leap forward. “For a number of years we had been transacting business in Spain, primarily for the ex–pat market,” says Matthew, who adds that those new overseas contacts were put to good use in 2012 with the launch of Yachtsman Euromarine’s first Spanish-language policy to cover that local market. Though beginning with only a small presence in Spain - a perennially popular destination for Irish retirees, holidaymakers and boating enthusiasts - Matthew says that foothold was invaluable in helping Yachtsman to identify the “massive potential” in the local pleasure craft insurance market. The next step would be exploring how to export Yachtsman’s range of services into Spain. Thanks to the support of Enterprise Ireland, Yachtsman developed what Matthew describes as an “innovative system” that allows for the underwriting of risks to take in more parameters in setting rates. "This has completely changed how premiums are calculated, and we are better able to reward policies with no claims but also pinpoint hotspots where frequent claims are becoming a concern." Fast-forward to March of this year, and the opening of Yachtsman’s first international office in Denia, a prime position on the Costa Blanca at the midway point between Alicante and Valencia, and the main link to the Balearic Islands. This opening also saw the hiring of the brokerage’s first Spanish staff, allowing the business to move forward in developing its products for the local market. After the lean recession years, business is on the up again across the marine markets - and none more so than for Yachtsman Euromarine, which is celebrating a remarkable 40 years in business this month. For Matthew McGrory, it’s a time to look back with pride at the reputation Yachtsman has earned within the industry as an authority in boat insurance, not to mention for its superior customer service and the expert advice and innovative solutions the company delivers for the marine sector. As Yachtsman’s website simply states, they know about boats.